Chevrolet is an American brand who provides basic, power train and emissions warranties with new cars purchased in California. Those warranties follow the car until they expire. 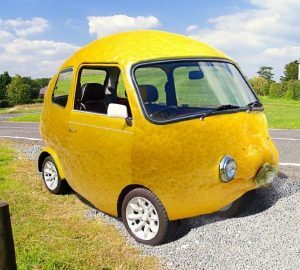 If your new, used, leased or purchased vehicle is in the shop too much and the problems started during the warranty period, it may be a lemon. If the manufacturer won’t repurchase, replace or compensate you, then you should speak with Patrea Bullock the California Lemon Law Expert about your legal options. 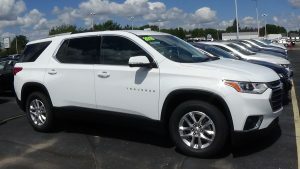 Chevrolet or Chevy models include Chevrolet Express, Chevrolet Cruze, GMC Savana vans, Chevrolet Cobalt, Chevrolet Colorado, Chevrolet Avalanche, Chevrolet Silverado, Chevrolet Suburban, Chevrolet Tahoe, Chevrolet Traverse, Chevrolet Trailblazer, Chevrolet Malibu, Chevrolet Impala. Even if Chevrolet agrees to repurchase, replace or compensate you, having an attorney on your side, protecting your rights during the negotiations is highly recommended. The Release they will ask you to sign is a legal, binding agreement and should not be entered without legal advice. The Release could have clauses that are either not legal or not necessary and you could be unnecessarily giving up rights. Since the advice of counsel is FREE, don’t put yourself in this position. Call the California Lemon Law Expert today at 916-672-8443. Determining if your Chevrolet is a Lemon? To qualify under the California Vehicle Lemon Law the vehicle must have a problem which the dealerships have been unable to repair. For the law to apply, the dealerships must be given a reasonable number of opportunities to repair the vehicle within the warranty period. Consumers with lemon Chevys have a right to sue the manufacturer for damages if the manufacturer won’t take care of the issue promptly. It does not matter the current mileage, whether the problem has been fixed/identified or deemed normal. The lemon law allows the manufacturer a reasonable number of repair opportunities, not an unlimited number. Therefore, if your vehicle has been in for multiple repair attempts and is finally fixed, you can still bring a lemon law claim. Additionally, the lemon law requires the manufacturer pay reasonable attorneys’ fees and costs, so anyone can afford justice in these cases.